In a world of streaming, YouTube, and Spotify, radio may seem like a thing of the past. A quaint, antiquated way of getting information and entertainment. But done right, it can be magical. No Pandora playlist can replicate an experienced DJ selecting songs based on mood and flow. Amazon Prime doesn’t have an ear for the next big thing. Soundcloud has never put down a Taylor Swift record and grabbed a Wild Child song. Luckily in Austin, we have a number of radio stations who do exactly that. These stations set aside the heavy rotation and Top 40 pop tracks, and spend time supporting local music. Get to know them here and add them to your presets on your way to work tomorrow (you know, in your car…people still do that, right?). When its tagline is “The Austin’s Music Experience,” you know a station has a heart for local talent. Ever since Austin’s NPR affiliate, KUT, moved their storied music programming to KUTX in 2012, the station has been a hub for local talent. Cruising through KUTX’s online playlist shows a world of diversity. During a four-hour morning block, artists like Sweet Spirit, Leopold and His Fiction, Cotton Mather, and Shinyribs might all get prime airtime. This dedication to local talent continues throughout the day, most notably with Laurie Gallardo’s “Austin Music Minute.” Six days a week on the air and online, the program broadcasts a roundup of live performances from Austin artists at local venues, creating a concise, curated way to discover new talent. And while the daily rotation has its share of Austin artists, KTUX is widely recognized for what it does outside of the station. KTUX’s excellent “In Studio 1A” series hosts over 300 live performances a year, becoming a YouTube staple. KUTX also has an Artist of the Month feature that’s dedicated to local musicians. 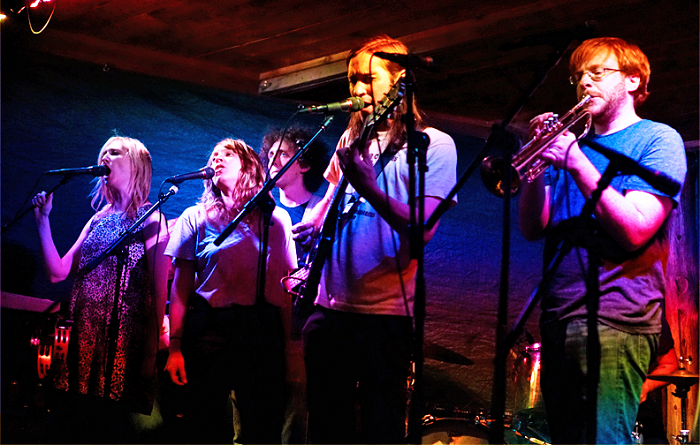 Last year, the program supported ATX stalwarts like Harvest Thieves, White Denim, and Ruby & the Reckless through heavy playlist rotation and special performances. KUTX’s support of local music doesn’t stop there. The station’s partnership with Four Seasons Hotel Austin during SXSW and ACL yields one-of-a-kind showcases during the city’s hottest music festivals. And in 2016, KUTX produced Winter Jam at The ABGB, KUTX Live at Mueller, and the summertime Bullock Music Under the Star series. That’s a lot of love for local music! A true nonprofit in every sense of the word, KOOP has been Austin’s champions of all things local since 1994. The station is 95 percent funded via community donations, with the rest made up by underwriting and grants. The result is a sense of grassroots authenticity that’s unique among the Austin radio scene. You won’t find many professionals with phony radio voices manning the airwaves. All the on-air talent is made up of volunteer members dedicated to local radio, giving voice to local issues and culture. But don’t think the DJs get thrown in front of a mic with no preparation. 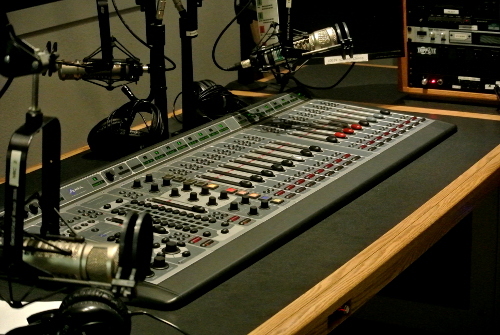 KOOP fully trains their on-air staff in everything from running the board to doing the actual show. In return, all they ask is a certain amount of volunteer time each month. Essentially, for investing a few hours a month, you get a free education in broadcasting. And all of it is in service to the Austin community, which includes music. Shows like “Around the Town Sounds” and “Under the X in Texas” are dedicated to playing local music and keeping the Live Music Capital of the World humming with homegrown talent. The only for-profit among the three stations I’m highlighting in this story, KGSR blends independent rock, mainstream hits, and local favorites in an eclectic and interesting way. While the station is technically listed as “adult contemporary,” their playlist runs a diverse gambit of modern alternative hits. 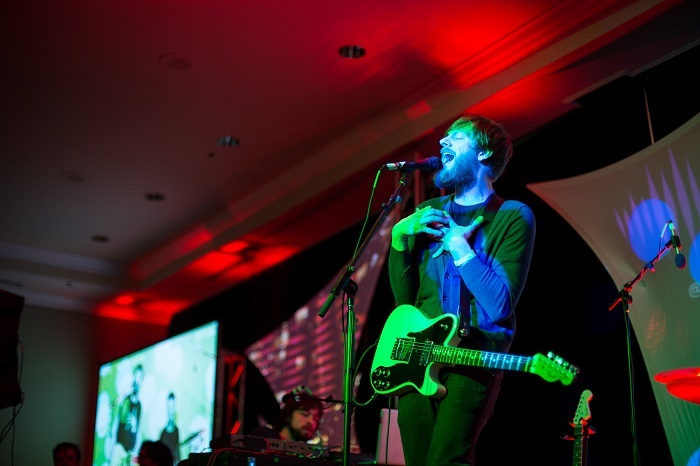 KGSR puts a focus on local talent during its many live events. The station puts on a number of Austin-centric events, most notably the Unplugged at the Grove series at Shady Grove on Barton Springs Road. Every Thursday night between April and September, local artists play acoustic sets under the twinkling lights at Shady Grove. Despite enormous pressure to widen the net to non-Austin artists, the series has stayed true to its local roots. KGSR also runs one of the best showcases at SXSW. Long 4 a.m. lines for the Live Morning Broadcasts at W Austin Hotel have become the stuff of SXSW legend. This past year, local bands like Bee Caves, Swimming With Bears, MISSIO, and Walker Lukens played sets during the annual event. The $5 per person entry fee is given to Make-A-Wish of Central & South Texas, and the first 300 people are provided breakfast. With a city full of exceptional music, it’s comforting to know there’s a wide variety of Austin radio willing to support it. Before you jump onto Pandora or fire up that tired Spotify playlist on your way to work, dust off your radio and tune into one of these great stations. You may just find a new local band to fall in love with. 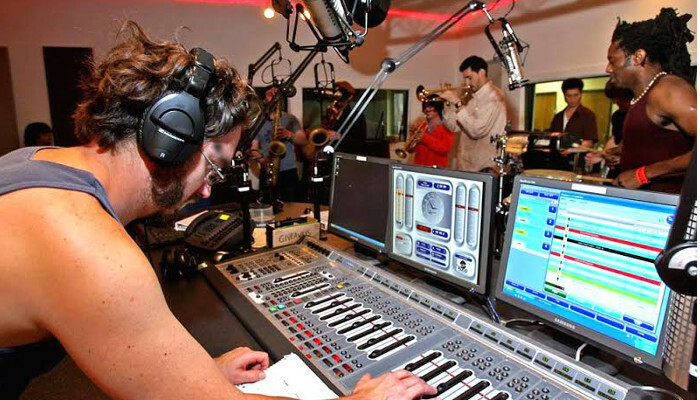 What’s your Austin radio station of choice when it comes to local music?